So I finally read the first book in the Inspector Singh series. And it is interestingly a little different from the second (or the first book I read, A Bali Conspiracy Most Foul. Set in Kuala Lumpur, the capital of Malaysia, A Most Peculiar Malaysian Murder is our introduction to Inspector Singh (although as I found, the books don’t really need to be read in order). And his case focuses on a Singaporean woman who is being charged for the murder of her husband, a timber tycoon, whom she was divorcing. Of course things are never all that straightforward as we discover that her late husband had converted to Islam (they are both Chinese) and now her custody of their three children is also at stake. Her gentle, tree-loving brother-in-law complicates matters even further when he decides to confess to the crime, which he says he did for the forests and the native people whose land has been stolen from them. While the writing is nothing to shout about, A Most Peculiar Malaysian Murder features an interesting case, a different setting (I’ve not read any crime novels set in Kuala Lumpur) with the always amusing Inspector Singh. 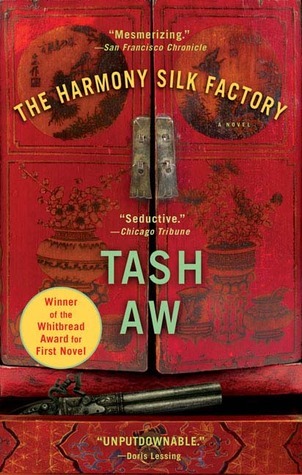 I enjoyed the Inspector Singh story more than the other Malaysian book I read this month, The Harmony Silk Factory by Tash Aw. The central figure of this story is Johnny Lim who lives in rural Kinta Valley and runs a textile store and led the fight against the Japanese in the area during the Second World War. The narrative is told from three perspectives. Unreliable narrators alert! The first is his son Jasper, who has researched the life of his no-good father, and he pretty much despises his cold father. This section chronicles Johnny’s life as he becomes the apprentice of a textile merchant and rises to lead the Communist movement in the area. The second is Johnny’s wife Snow, told via diary entries focused around a sort of honeymoon boat trip that they embark on with a few friends – Wormwood, a guy named Honey who drinks a lot and the suave but slimy Kunichika – and almost lose their dear old lives. The third part is told by Wormwood, Johnny’s best friend, and also recounts the days in which they spend drifting away together. Wormwood is an old man now, spending his time in a nursing home and dreaming up beautiful gardens and a beautiful woman (Snow). The unfortunate thing about this book is that none of the narrators are all that likeable. And because the narratives by Snow and Wormwood are personal accounts, Johnny, who is supposed to be the central character, gets lost in their recollections. This wasn’t the book for me. Inspector Singh is back again! And I saw on GR that you have started on your third Singh book? 😉 I am glad that you didn’t feel too disappointed about him, even though the writing and the story itself left a lot to be desired. I found the sequels better than the first book. The ending was a bit of a surprise to me though. I haven’t read a book by Tash Aw yet, but your opinion of it does not make me feel like reading any of his books anytime soon. Even if he were born in Taipei, Taiwan. I seriously need to read more Chinese authors again. I really didn’t like the third book, and I am mastering the strength to write about it…..! The Gift of Rain was a far better read. Review to come!